HomeProductsHome ItemsArt PostersLady Liberty Sleeping – Wake Up, America! 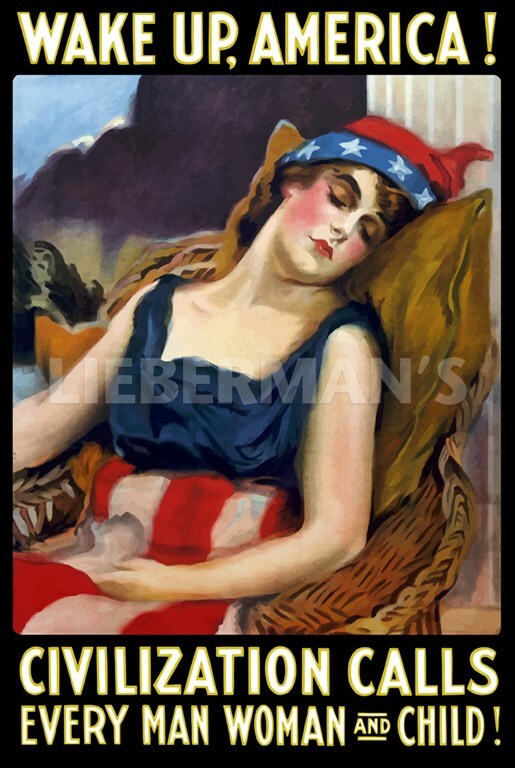 Poster shows a woman dressed in Stars & Stripes, symbolizing America asleep. After two and a half years of neutrality, the United States entered World War I on April 6, 1917.